To attract foreign investment, experience and talent to Switzerland, the government offers Swiss residence for wealthy individuals and qualified workforce. They encourage affluent individuals as well as qualified specialists and workers to relocate to Switzerland and/or do business/work there, offering them tax and other benefits in exchange for their contribution in the local economy. A qualified specialist/worker/manager or a wealthy individual from outside EU/EFTA, wishing to come, stay and/or work in Switzerland, must apply for a B-type temporary permit. Your employer must first carry out a labour market test and make an application for you. When the approval is granted, you must apply for a visa in your country of residence. When in Switzerland, you must register with the local authorities before starting your employment. Temporary residence permit is valid for 1 year, subject to annual renewal. An applicant must either show an employment contract with a Swiss company valid for at least 1 year or a proof of financial independence. It is one of the most advanced economies in the world, with the highest nominal wealth per adult. Switzerland stands at or near the top in several metrics of national performance as compared to other countries, including government transparency, quality of life, economic competitiveness, etc. Main applicant must be 18 and over. Clean criminal record and no breaches of immigration or other laws. Availability of funds if applying as a self-sufficient person. Knowledge of the language when applying for citizenship. 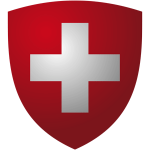 If a third-party national intends to settle in Switzerland, they can apply for a C-type permanent residence permit. If they do not have family ties to the country, i.e. Swiss spouse, parents, or unless they are of certain nationalities, they can only do that after having continuously lived in the country for 10 years. Naturalisation applications can be made after 12 years of legal and continuous residence in the country (subject also to cantonal residence requirements). Some residents, by marriage or by birth, can be eligible for the accelerated naturalisation process, without having to wait for 12 years. The applicants must show integration with the Swiss society and the way of life, customs and traditions, be of good character and do not pose risk to national security. Switzerland allows dual citizenship, so you don’t have to renounce your current nationality. Switzerland is a country with no access to a sea with the Alps occupying the major part of its territory. However, people live mostly on the plateau. The country is a federal republic comprising 26 cantons over 4 language and cultural regions. At the same time the national identity is very strong with federalism and Alpine symbolism at its core. Apart from being the birthplace of the Red Cross, Switzerland is home to many international organisations. The country has strongly maintained its neutrality and sovereignty throughout both World Wars, it is not a member of the EU and only joined the United Nations in 2002. Government: Federal semi-direct democracy under a multi-party parliamentary directorial republic. Official languages: German, French, Italian, Romansh. Membership: Schengen area, Council of Europe, UN, OECD, WTO, OSCE, European Free Trade Association, International Atomic Energy Agency, INTELSAT. Landscape: three topographical areas, the Swiss Alps in the south, the Swiss Plateau in the centre and the Jura mountains in the west. Climate: generally temperate with glacial conditions on top of the mountains to near Mediterranean climate in the south. Manufacturing is the most important economic factor. Main products include chemicals, pharmaceuticals, measuring and musical instruments. Switzerland produces half of the world’s watches and clocks, especially high-end ones. Services sector is second largest sector. It provides banking, insurance, tourism and other services. Tourism is strongly developed in Switzerland, especially in mountains and cities. Agricultural sector is strongly protected by the government with subsidies and high import tariffs.